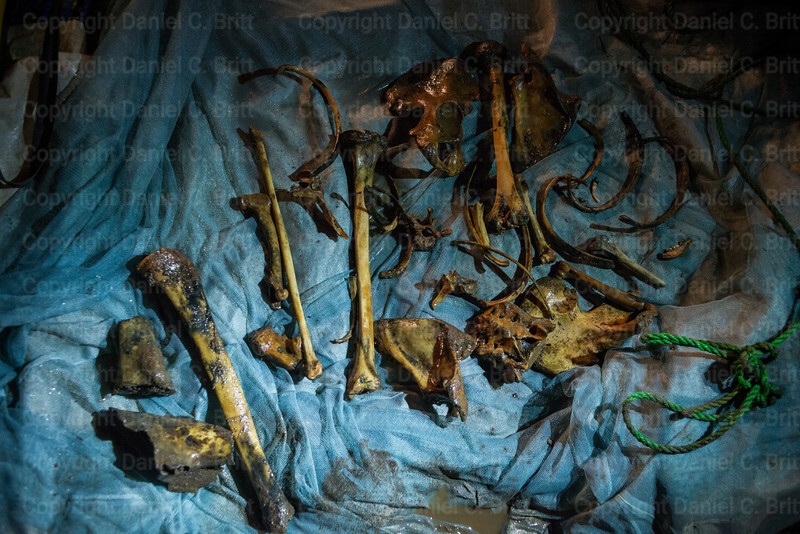 In early August of 2015, workers from the Swiss Foundation for Mine Action exhumed three piles of bones from a drinking well in Bangui’s Kilometer-5 district, indicating that at least three people, and possibly more, were deposited there. The remains were missing their skulls. It’s a common discovery in Central African Republic. 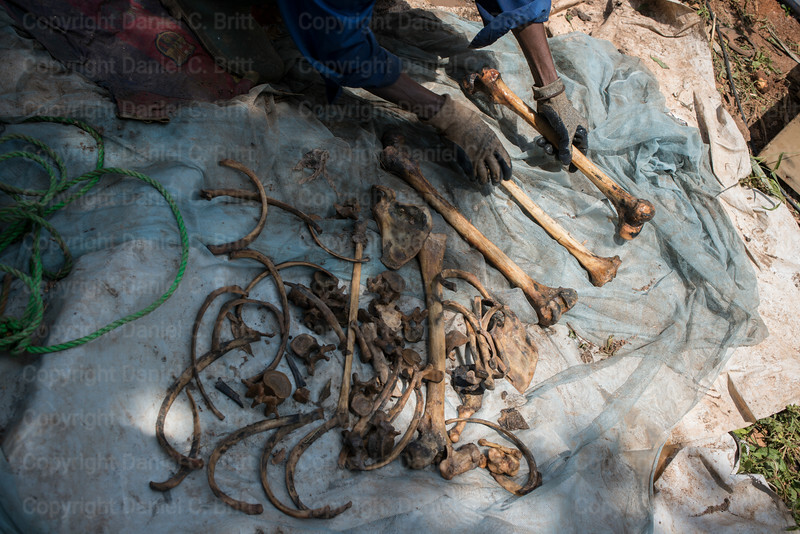 Nearly 18 months after violence between militant Seleka and Anti-Balaka groups has subsided in the capital, hundreds of unidentified corpses remain rotting in watery graves. Dead bodies stuffed into neighborhood wells by militants poison the water table and confuse the United Nations body count as the Transitional Government Council pushes reconciliation between militants across the country. The U.N. currently estimates that 3,000 to 6,000 people died during the country’s conflict, which erupted in 2013. Hidden bodies and mass graves in remote areas of the countryside account for the imprecise figures, U.N. spokesperson Hamadoun Toure said. 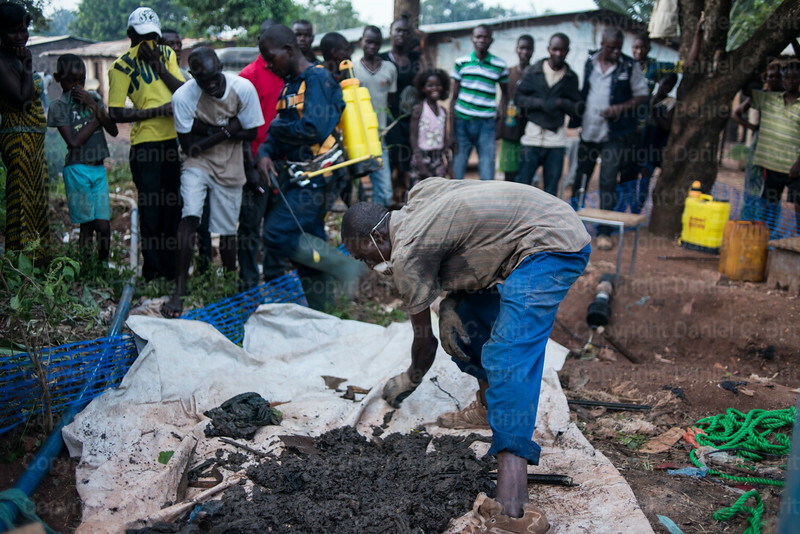 Neighbors crowd around the pile of human bones being sprayed after they were dredged from a well in Bangui's Kilometre-5 district on Saturday, August 1, 2015. According to local witnesses, the victims were killed 18-months ago in violence between Muslim Ex-Seleka and Christian Anti-Balaka groups, then their bodies were stuffed down the well. 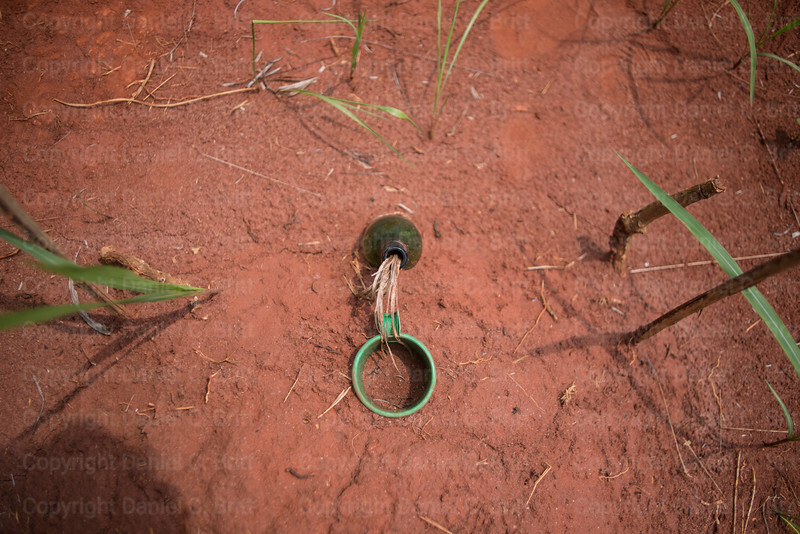 This was the first of hundreds of wells marked for exhumation by international organizations in Bangui. The Central African Republic continues to live in the shadow of the horrific violence between Seleka and Anti-Balaka groups that fractured the country in late 2013 through the spring of 2014. 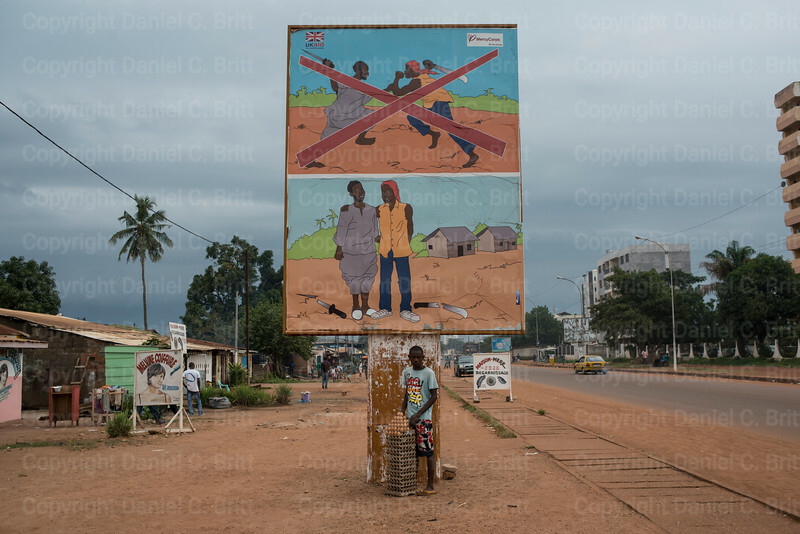 A boy sells hard boiled eggs under a sign promoting peace between Christians and Muslims in Bangui on Saturday, July 25, 2015. Widespread joblessness has been blamed for the ease with which militant groups recruited youth to massacre each other after the 2013 coup. 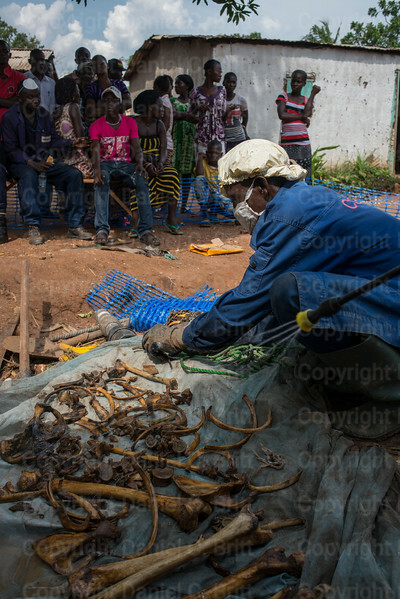 Bag of Bones: A worker arranges the bones plucked from a football jersey that was found in a drinking well in Bangui's Kilometre-5 district on Saturday, August 1, 2015. According to local witnesses, the victim was killed 18-months ago in violence between Seleka and Anti-Balaka groups then hidden in the well. This was the first of hundreds of wells marked to be exhumed by international organizations in Bangui and throughout the Central African Republic. CAR continues to live in the shadow of the horrific violence between Seleka and Anti-Balaka groups that fractured the country in late 2013 through the spring of 2014. 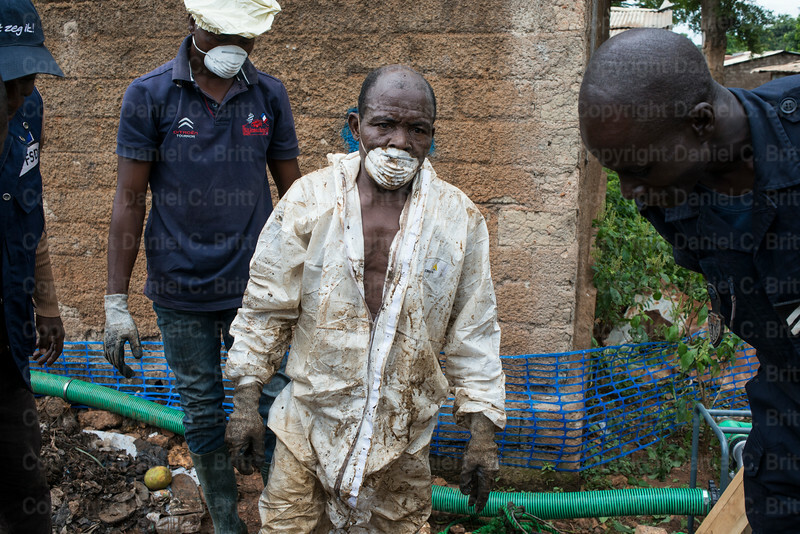 A worker from the Swiss Foundation for Mine Action (FSD) prepares to lower himself into a well in Bangui's Kilometre-5 district on Friday, July 31, 2015 to search for the remains of three to four people who were killed and hidden inside. According to local witnesses, the victims were killed 18-months ago in violence between Seleka and Anti-Balaka groups, then their bodies were stuffed down the well. 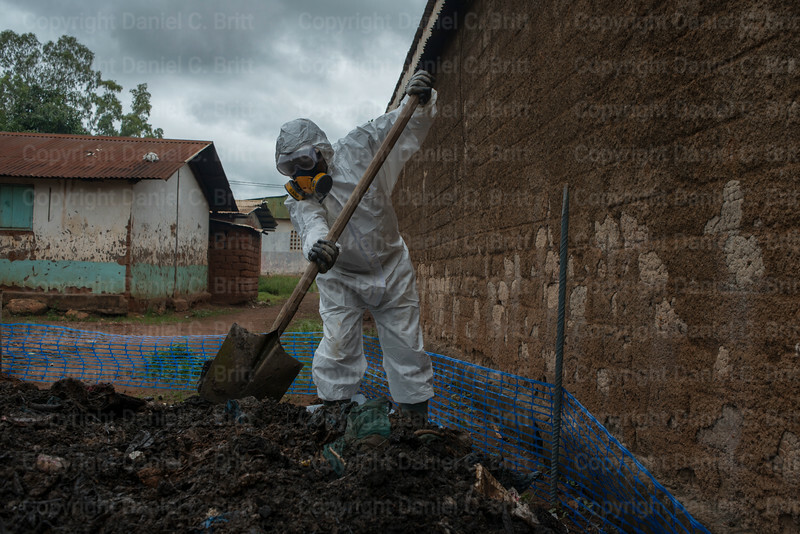 A worker lowers combs through dirt for human remains in Bangui's Kilometre-5 district on Tuesday, July 28, 2015. According to local witnesses, people killed 18-months ago in violence between Seleka and Anti-Balaka groups, were stuffed down the village well. 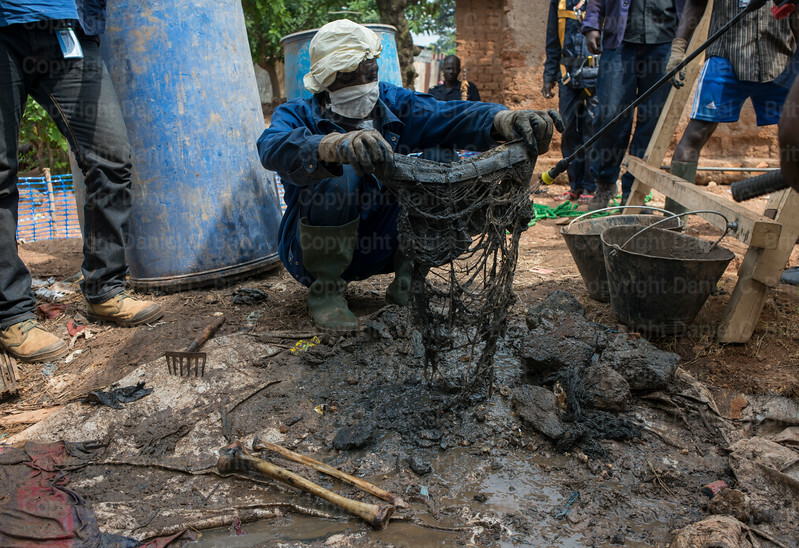 A worker arranges the bones of three or possibly four people that were dredged from a drinking well in Bangui's Kilometre-5 district on Saturday, August 1, 2015. According to local witnesses, the victims were killed 18-months ago in violence between Seleka and Anti-Balaka groups, then their bodies were stuffed down the well. 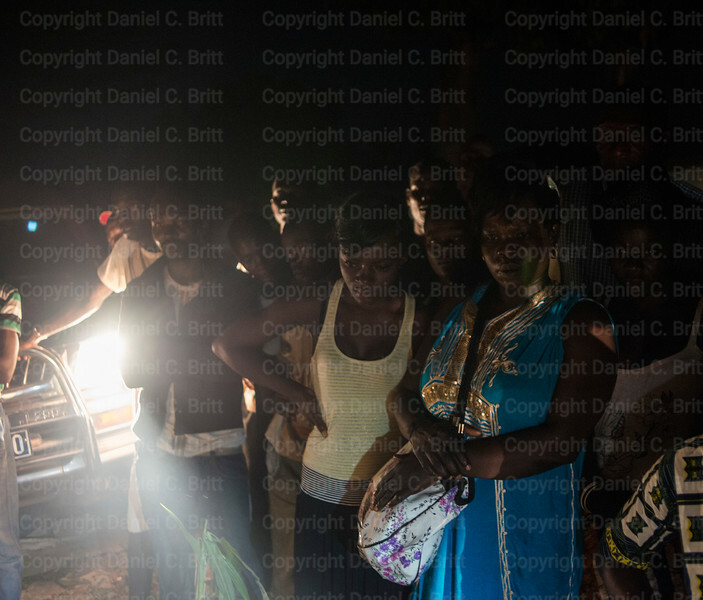 Workers from the Swiss Foundation for Mine Action (FSD) prepare to work into the night in Bangui's Kilometre-5 district on Friday, July 31, 2015. 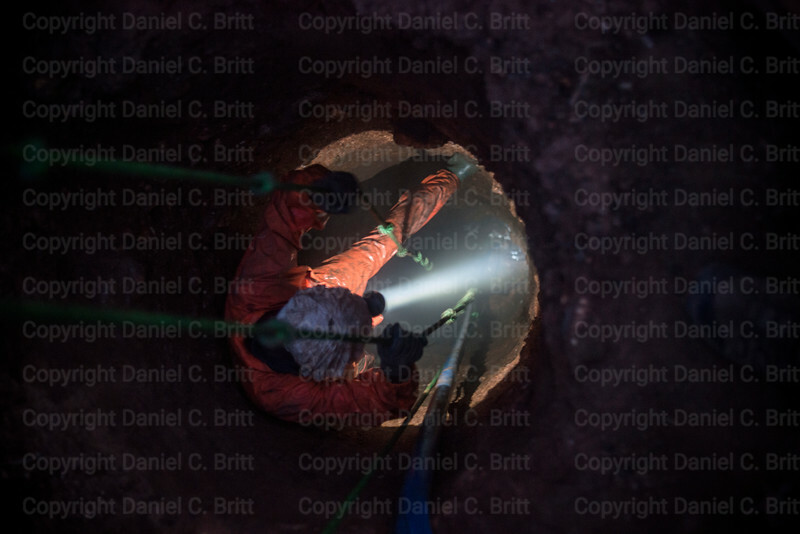 The search for the remains of three to four people who were killed and hidden inside the well lasted for nearly a week. According to local witnesses, the victims were killed 18-months ago in violence between Seleka and Anti-Balaka groups, then their bodies were stuffed down the well. 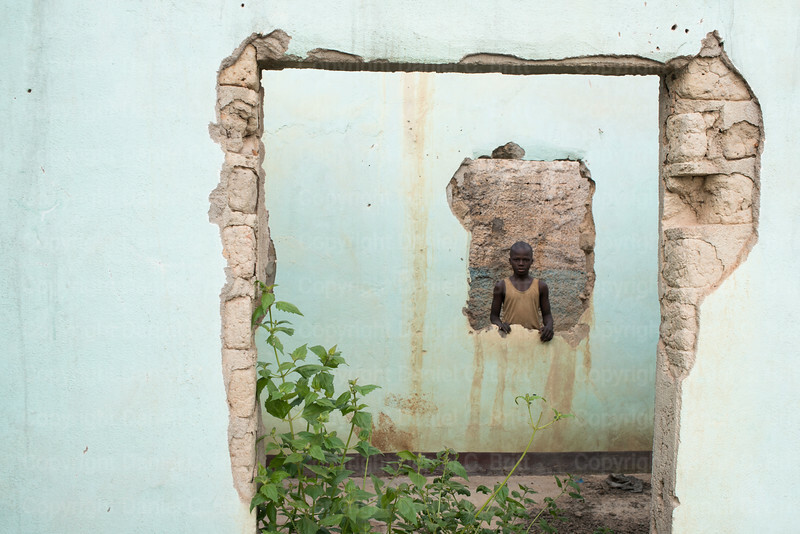 A boy peers through an overgrown house destroyed months ago by militant Seleka groups in Bangui's Kilometer-5 district on Wednesday, July 15, 2015. Most residents of the Central African Republic's embattled capital expect rebel groups to reappear around the time of the October elections. 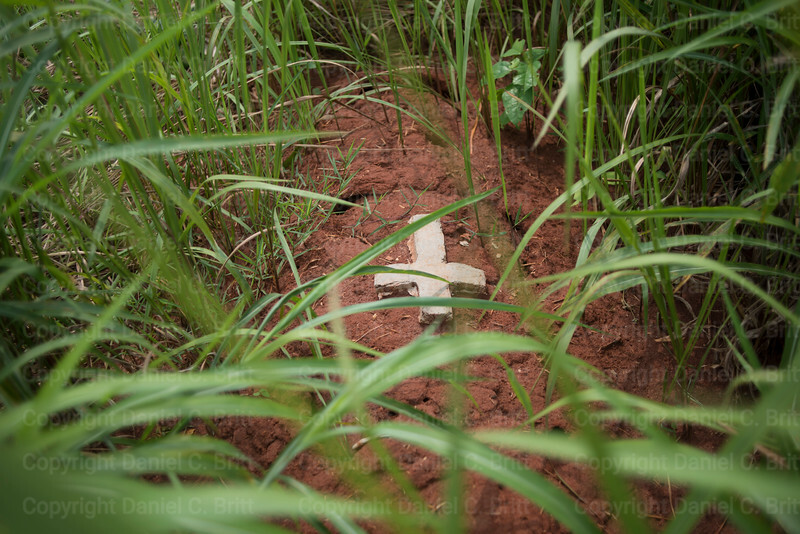 High grass obscures the grave of a victim of violence between Seleka and Anti-Balaka groups on Thursday, July 16, 2015 in the village of Nzila in the Central African Republic. Remote areas outside the capital of Bangui were popular execution sites. Many Nzila residents expect rebel groups to reappear around the time of the October elections. 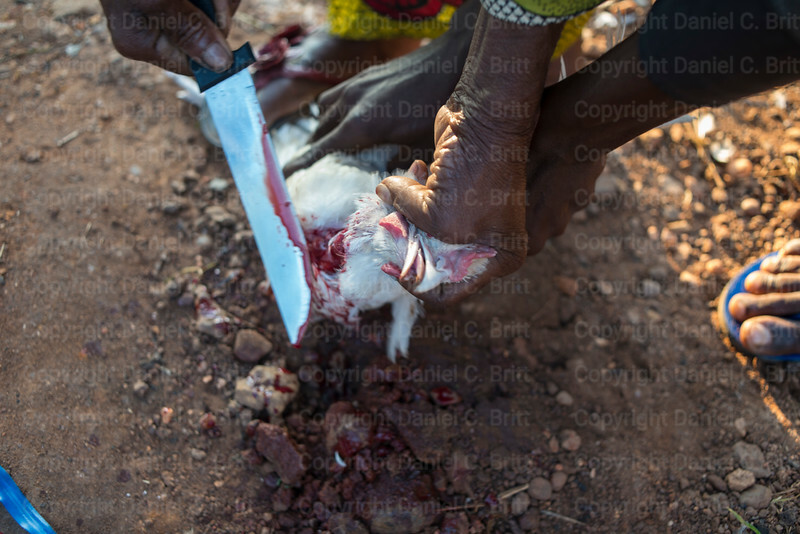 A woman squeezes the blood of a sacrificed chicken around a well in Bangui's Kilometer-5 district on Friday, July 31, 2015. Non-governmental organisations estimate hundreds of bodies have been hidden in wells across the Central African Republic. Local magic rituals delayed the exhumation of this particular well for days. 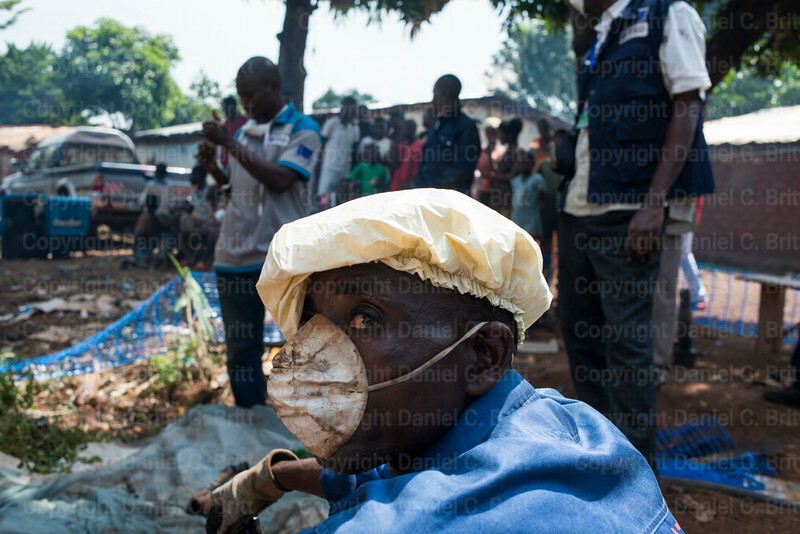 A worker takes a rest from sorting through human remains in Bangui on. Saturday August 1, 2015. 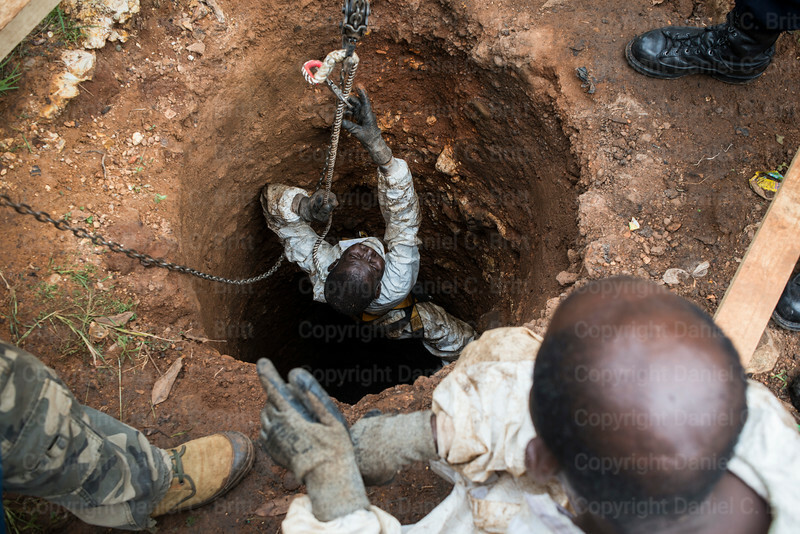 A worker lowers himself into a well in Bangui's Kilometre-5 district on Saturday, August 1, 2015 searching for the remains of three to four people who were killed and hidden inside. According to local witnesses, the victims were killed 18-months ago in violence between Seleka and Anti-Balaka groups, then their bodies were stuffed down the well. 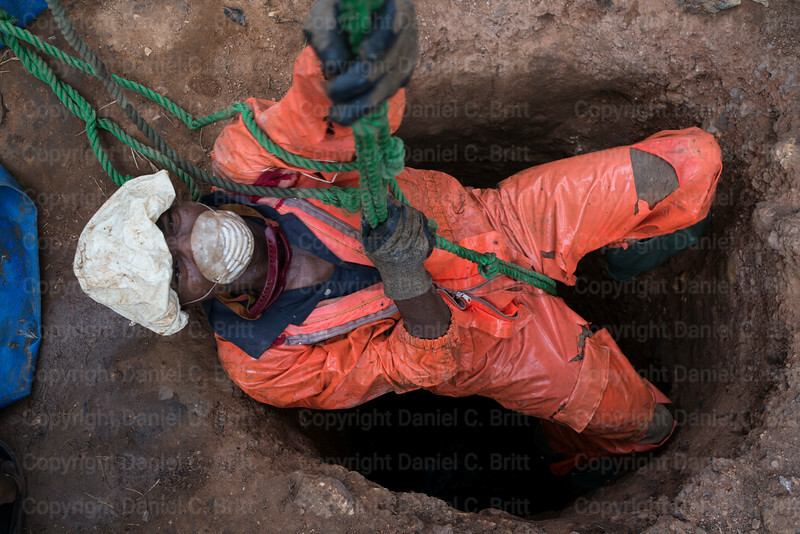 An exhumation team member climbs out of a well in Bangui's Kilometer-5 district on Tuesday, July 24, 2015. The bodies of hundreds of victims of the sectarian violence of 2013 and 2014 have been stuffed into drinking wells across the Central African Republic. Remains of at least three people were found in this well, the first to be exhumed in the country. 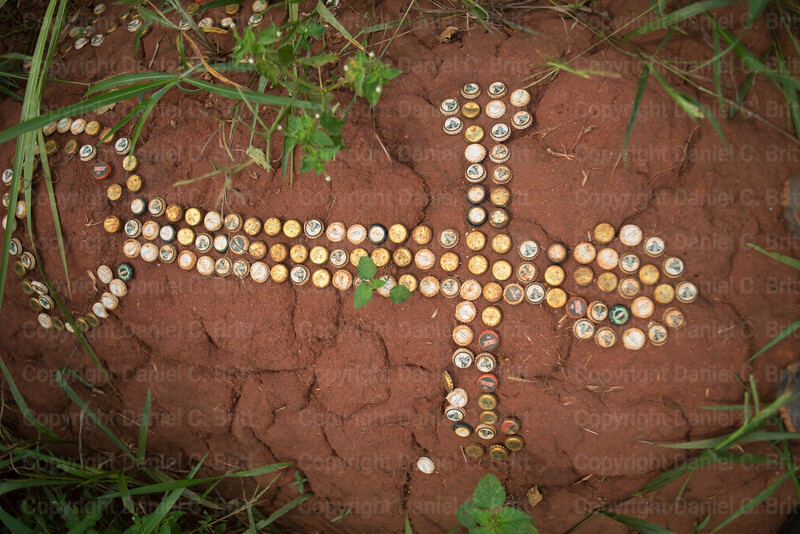 Bottle caps form a cross on the grave of a victim of violence between Seleka and Anti-Balaka groups on Thursday, July 16, 2015 in the village of Nzila in the Central African Republic. 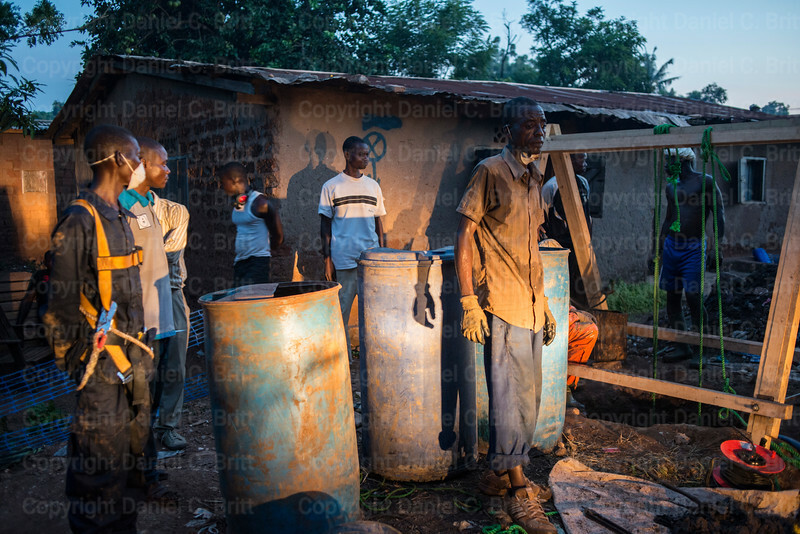 Remote areas outside the capital of Bangui were popular execution sites. Many Nzila residents expect rebel groups to reappear around the time of the October elections. 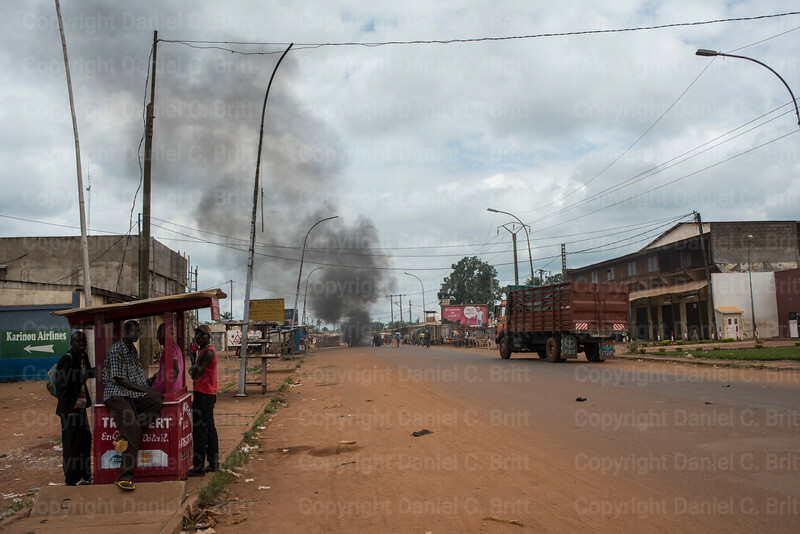 Smoke rises from a fire started when United Nations soldiers clashed with Seleka militants in Bangui's Kilometer-5 district on Sunday, August 2, 2015. Children migrate past an unused well in Begoa on Friday, July 24, 2015. The district chief estimated that at least 17 wells across the Bangui suburb have been closed because they are clogged with corpses. Begoa lies just beyond the capitals city limit, where international organisations like the Red Cross lack facilities. 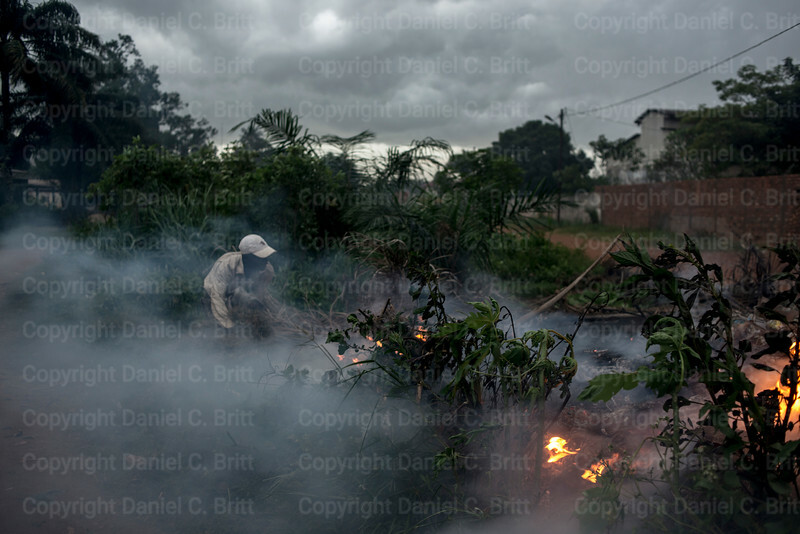 A man burns debris in on the roadside in Bangui on on Saturday, July 25, 2015. 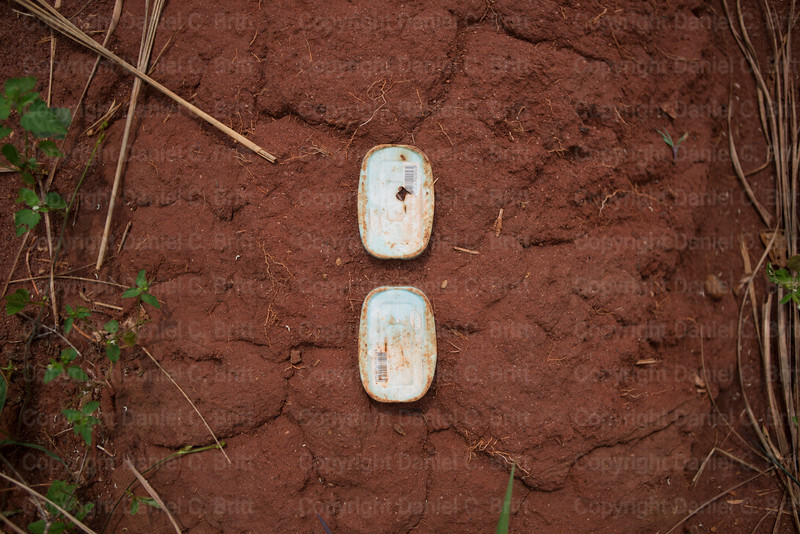 Sardine cans adorn the grave of a victim of violence between Seleka and Anti-Balaka groups on Thursday, July 16, 2015 in the village of Nzila in the Central African Republic. Remote areas outside the capital of Bangui were popular execution sites. In the CAR its common to decorate graves with things the decease enjoyed. 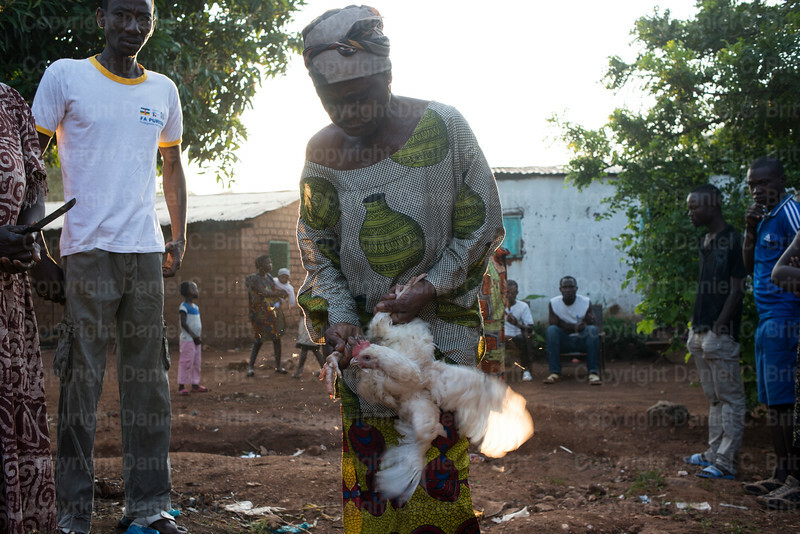 Many Nzila residents expect rebel groups to reappear around the time of the October elections. 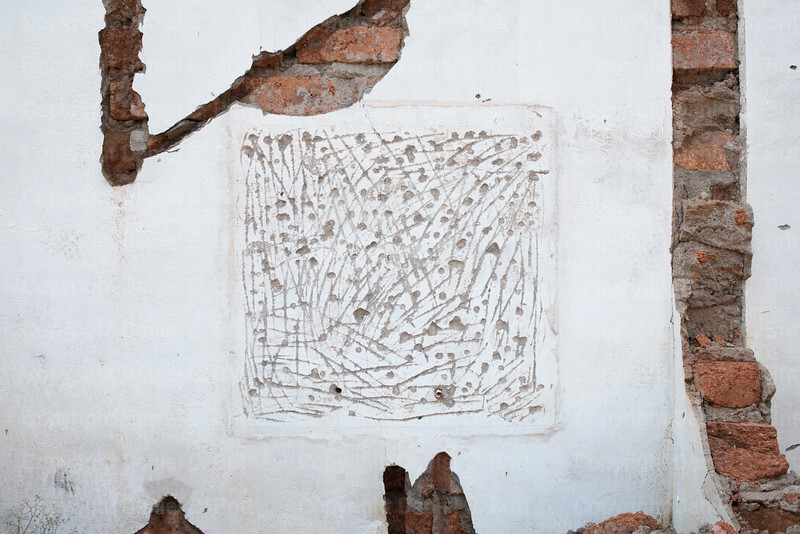 An artist connected bullet holes in the ruins of a home just outside Bangui's Kilometer-5 district on Friday, July 17, 2015. Thousands of homes in the Central African Republic were destroyed during the sectarian violence of 2013 and 2014. Local magic rituals, known as gris-gris delayed the exhumation of this particular well for days. Colourful flowers adorn the grave of a victim of violence between Seleka and Anti-Balaka groups on Thursday, July 16, 2015 in the village of Nzila in the Central African Republic. 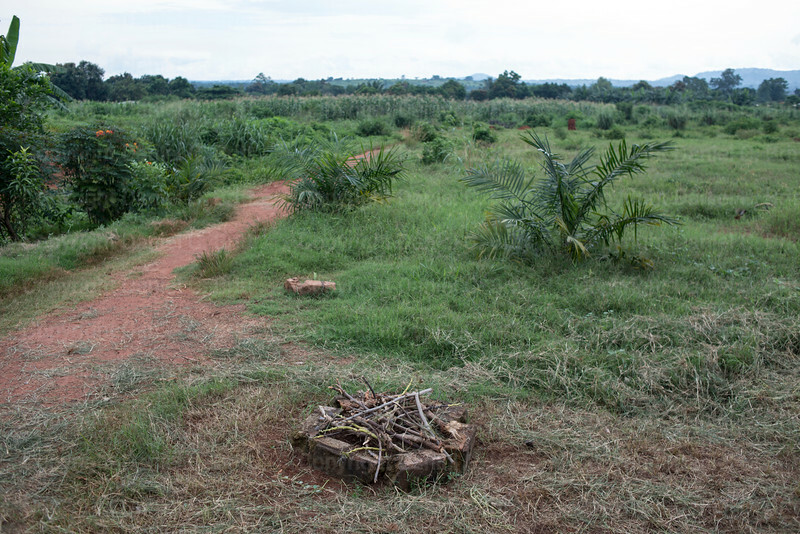 Remote areas outside the capital of Bangui were popular execution sites. In the CAR its common to decorate graves with things the deceased enjoyed. Many Nzila residents expect rebel groups to reappear around the time of the October elections. 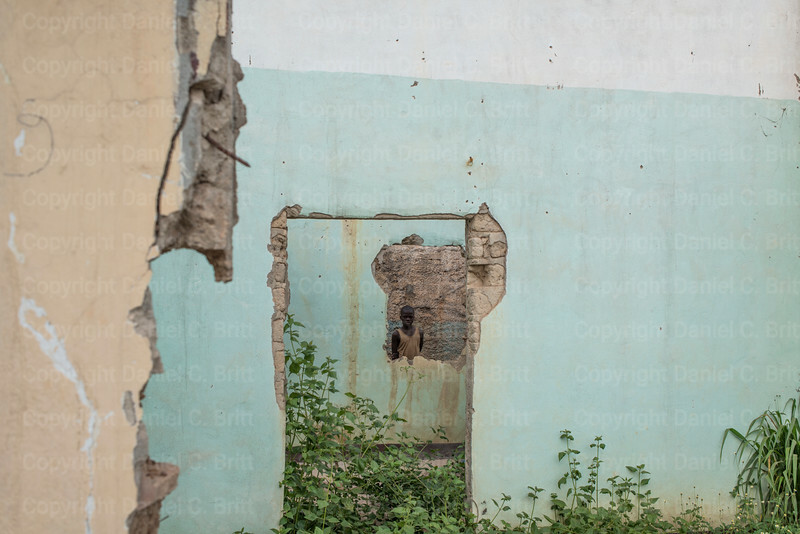 A boy peers through the ruins of a home just outside Bangui's Kilometer-5 district on Wednesday, July 15, 2015. Thousands of homes in the Central African Republic were destroyed during the sectarian violence of 2013 and 2014. 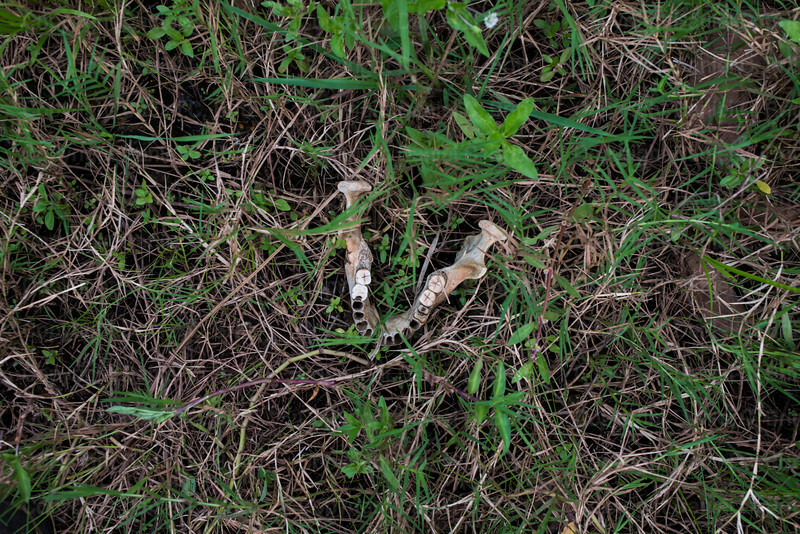 A human jaw bone lies in the grass just outside Bangui's Kilometer-5 district on Wednesday, July 15, 2015. 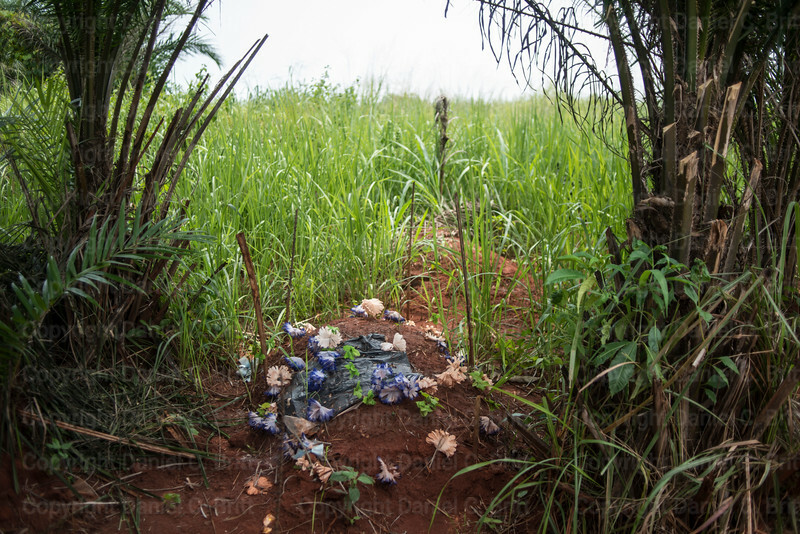 The bodies of hundreds of victims of the sectarian violence of 2013 and 2014 have been stuffed into drinking wells or buried in shallow graves across the Central African Republic. A cup and wine bottle adorn the grave of a victim of violence between Seleka and Anti-Balaka groups on Thursday, July 16, 2015 in the village of Nzila in the Central African Republic. 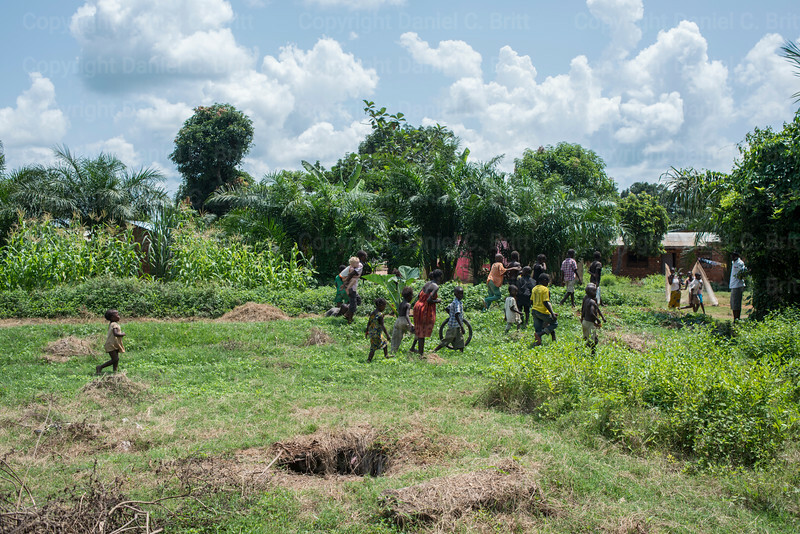 Remote areas outside the capital of Bangui were popular execution sites. Many Nzila residents expect rebel groups to reappear around the time of the October elections. Local magic rituals, known as gris-gris, delayed the exhumation of this particular well for days. 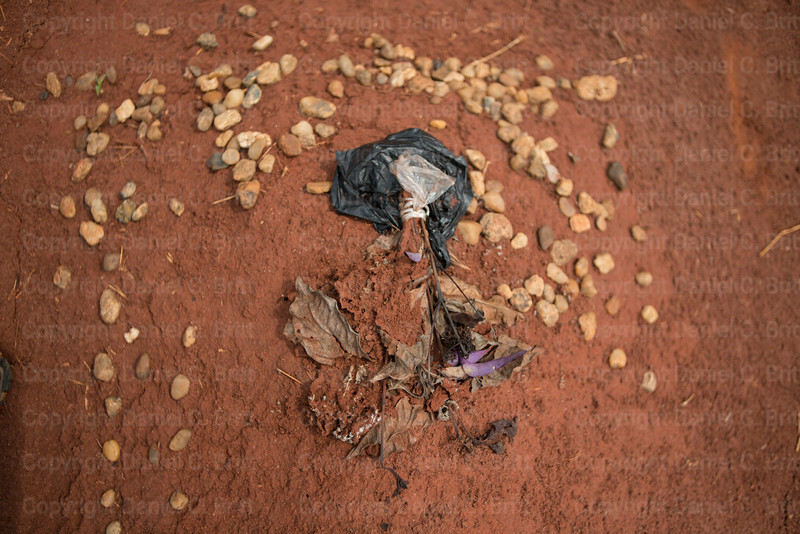 Dried flowers adorn the grave of a victim of violence between Seleka and Anti-Balaka groups on Thursday, July 16, 2015 in the village of Nzila in the Central African Republic. Remote areas outside the capital of Bangui were popular execution sites. Many Nzila residents expect rebel groups to reappear around the time of the October elections. 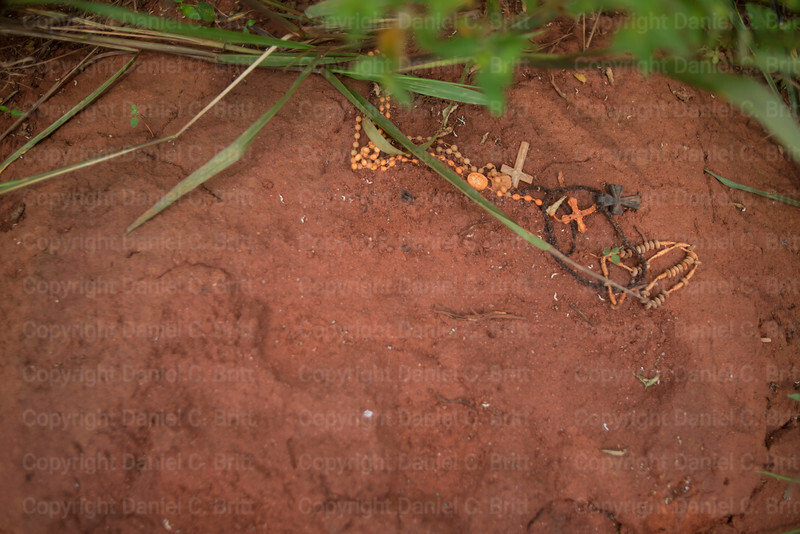 A rosary adorns the grave of a victim of violence between Seleka and Anti-Balaka groups on Thursday, July 16, 2015 in the village of Nzila in the Central African Republic. Remote areas outside the capital of Bangui were popular execution sites. 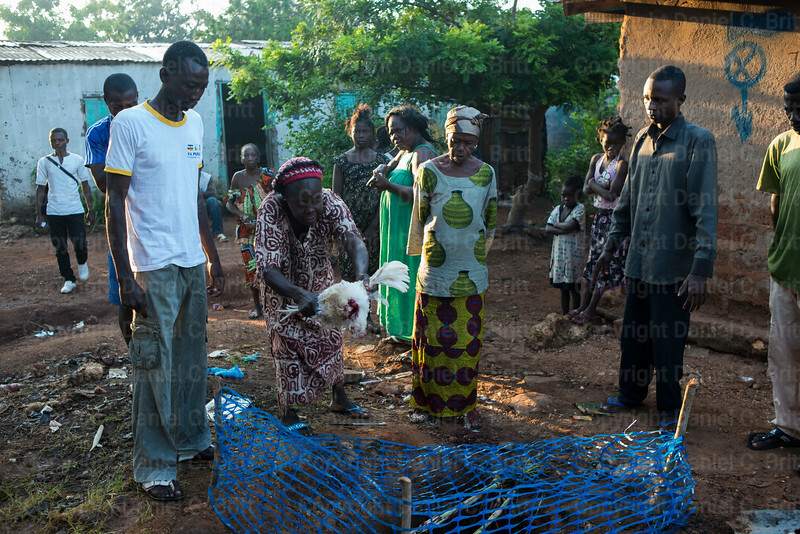 Many Nzila residents expect rebel groups to reappear around the time of the October elections. Ramon Yoro, 43 poses for a photo in Bangui's Kilometer-5 district on Friday, July 17, 2015. 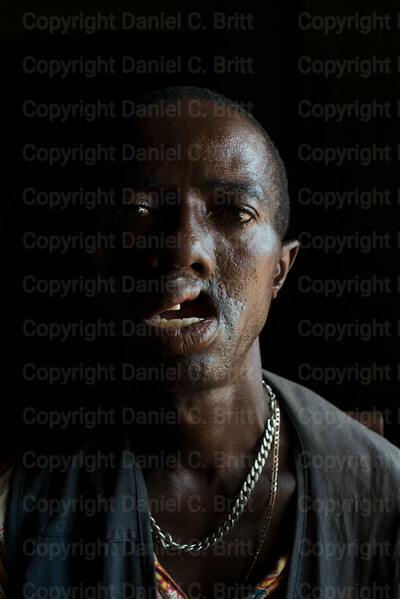 Yoro was attacked by three Seleka militants on his way home from a prayer group last year. He was shot in the mouth and the stomach and left for dead. 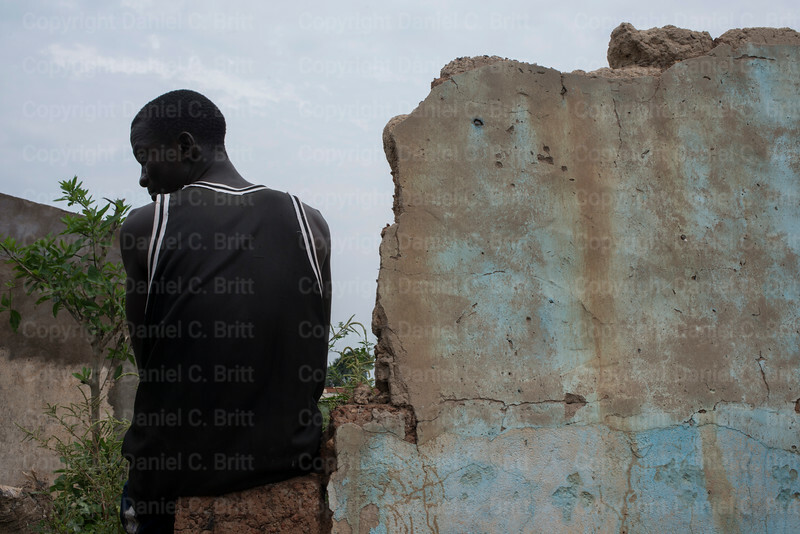 Claymore Suango sits on the broken wall of a home destroyed in violence between Seleka and Anti-Balaka groups in Bangui's Kilometer-5 district on Wednesday, July 15, 2015. Most residents of the Central African Republic's embattled capital expect rebel groups to reappear around the time of the October elections. Disenfranchised Seleka men gather for a bread and butter lunch in Bangui's Camp Beal on Thursday, July 16, 2015. 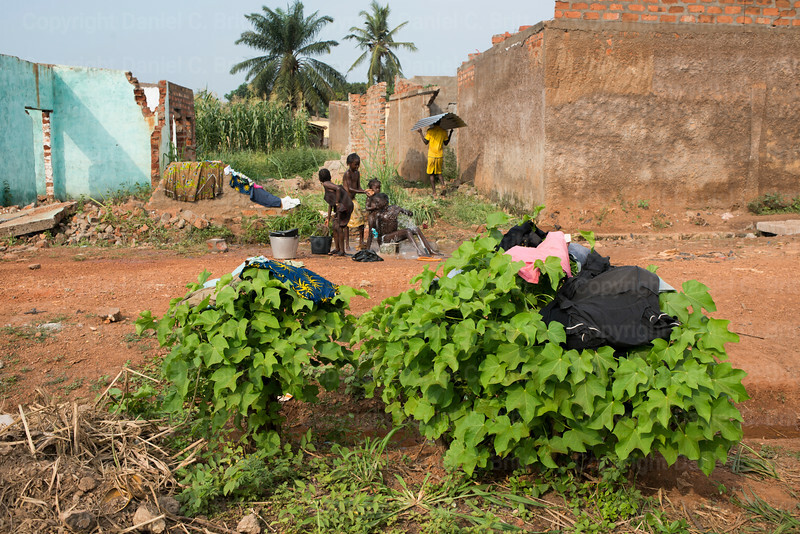 The former French Army post now hosts dozens of homeless Seleka men and their families. Members of the militant group have had their homes destroyed by Anti-Balaka militants or have been threatened out of their neighbourhoods. Most residents of the Central African Republic's embattled capital expect rebel groups to reappear around the time of the October elections. 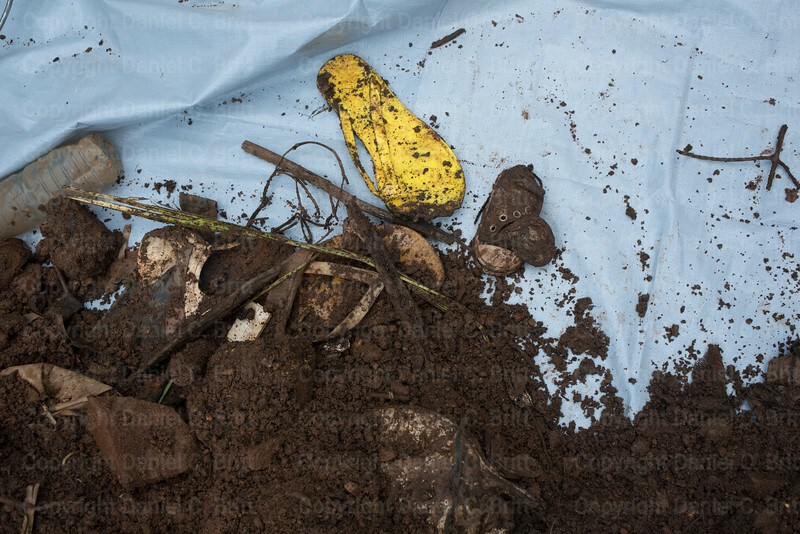 A child's shoe is found in a well thought to hold a mother and son among other people, in Bangui's Kilometer-5 district on Monday, July 27, 2015. 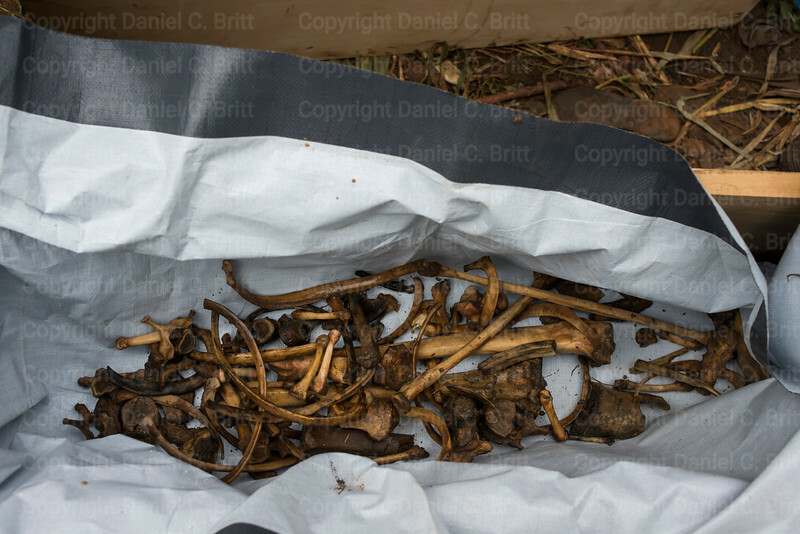 Two femur bones fall out of a pair of decomposed jeans dredged from a well in Bangui's Kilometer-5 district on Saturday, August 1, 2015. 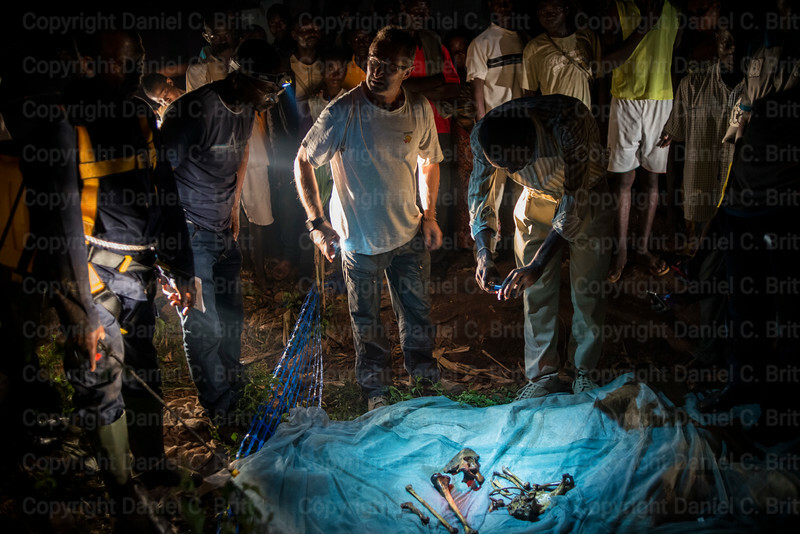 Bones from more than three corpses lie in a small coffin in Bangui's Kilometer-5 district on Saturday, August 1, 2015. 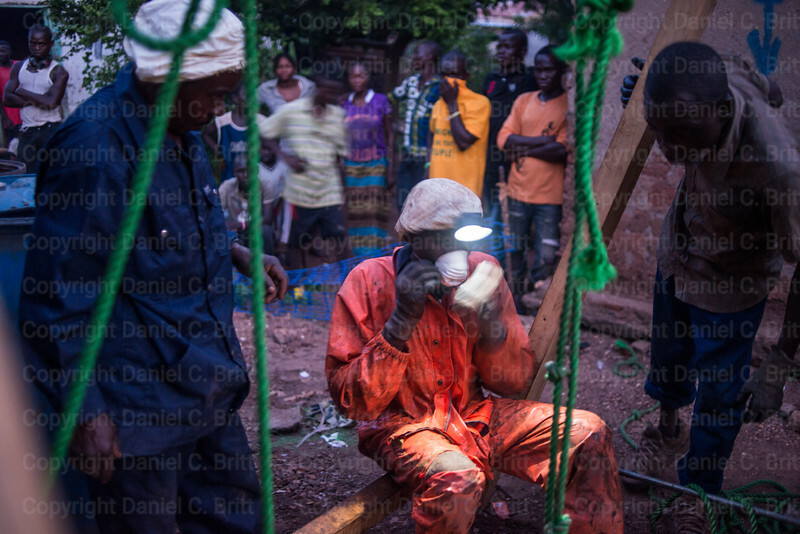 A worker takes a break after several hours digging human remains from a well in Bangui's Kilometer-5 district on Wednesday, July 29, 2015. 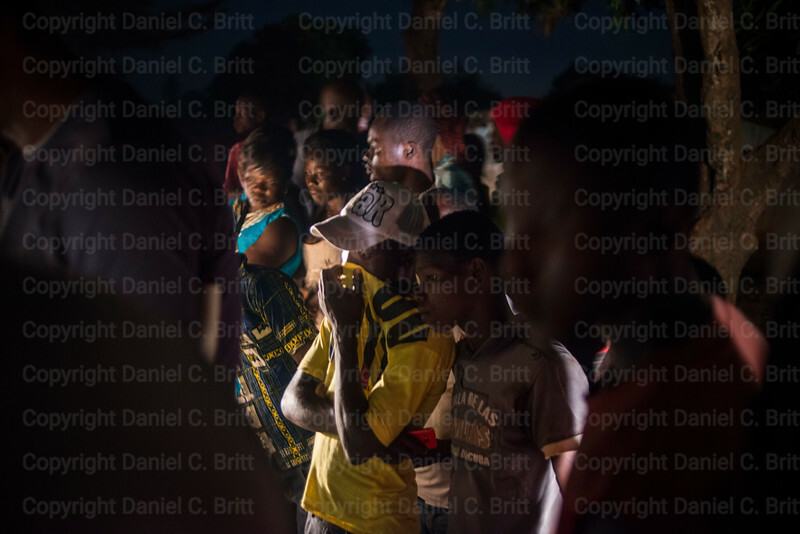 Villagers gather around a drinking well in Bangui's Kilometre-5 district on Friday, July 31, 2015. According to local witnesses, the victims hidden inside it were killed 18-months ago in violence between Seleka and Anti-Balaka groups. 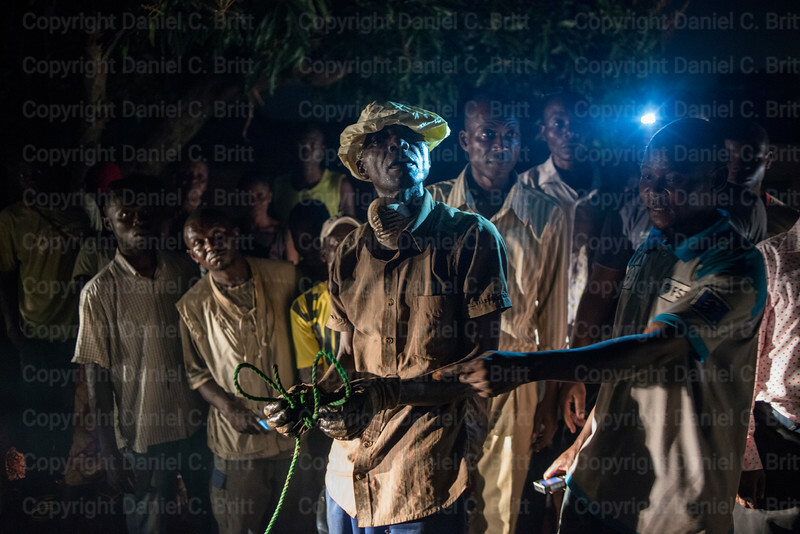 Workers display a rope used to confine the arms of one of the people whose remains were dredged from a well in Bangui's Kilometre-5 district on Friday, July 31, 2015. According to local witnesses, the victims hidden inside it were killed 18-months ago in violence between Seleka and Anti-Balaka groups. 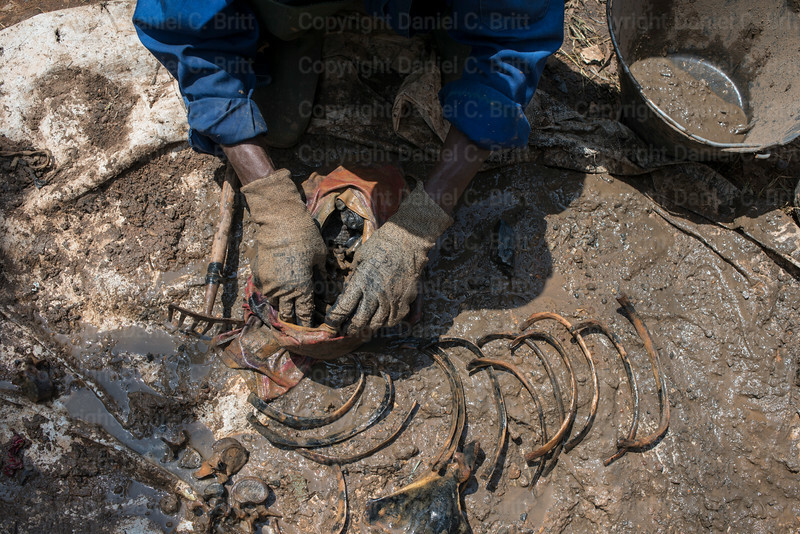 Workers for the Swiss Foundation for Mine Action (FSD) examine the bones of three or possibly four people that were dredged from a drinking well in Bangui's Kilometre-5 district on Friday, July 31, 2015. According to local witnesses, the victims were killed 18-months ago in violence between Seleka and Anti-Balaka groups, then their bodies were stuffed down the well. Kids bathe near ruined homes near Bangui's Kilometer-5 district on Wednesday, July 15, 2015. Thousands of homes in the Central African Republic were destroyed during the sectarian violence of 2013 and 2014. 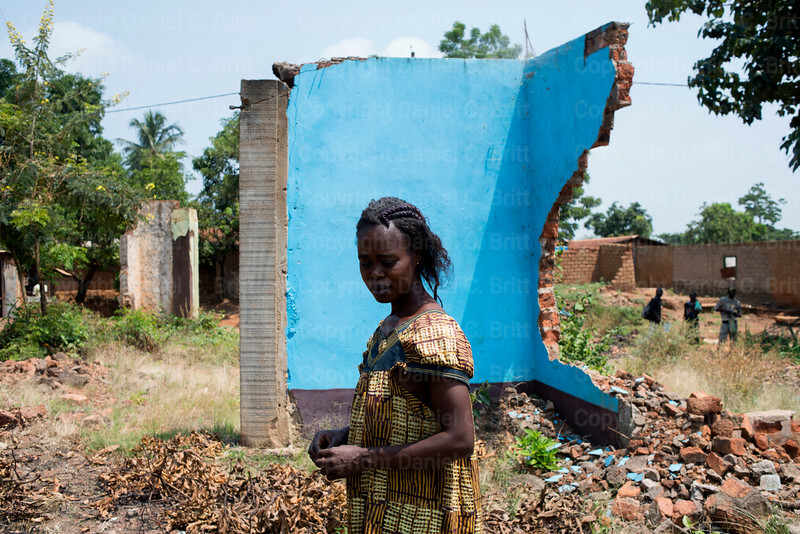 Ursula Mokofio navigates debris from a destroyed home in Bangui's Kilometer-5 district on Friday, July 17, 2015. She and other residents of the Central African Republic's embattled capital fear more violence around the time of October elections. A well is covered with sticks in the Bangui suburb of Begoa on Tuesday, July 22, 2015. The bodies of hundreds of victims of the sectarian violence of 2013 and 2014 have been stuffed into drinking wells across the Central African Republic.